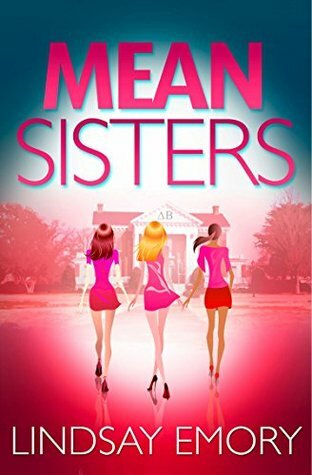 A sassy, hilariously funny murder mystery where the closest bonds of friendship might just kill you…! This book was certainly amusing. Setting a murder mystery within a sorority setting is always a good idea because it allows for an extra element of secret keeping from those not pledged. Margot was a fun narrator, somehow both whip smart and dumb as a post as she looks after her sisters and decides to solve the murders on her own. Margot is a character who toes the party line with regards to what to expected of a Delta Beta sister and she expects everyone else to hold these values, because why else have they pledged? It was nice to see a character so steadfast in their beliefs and not doing it in an overtly cult-like manner. For me, I've always found sororities to be a bit weird - yes to sisterhood, maybe a no to secret chants etc. I was a huge Greek fan so I have a good understanding of the Greek system but thankfully even if I didn't not only does this book explain the institution very well, the UK version comes with a handy glossary in the back for those of us without institutions as complex as the Greek system. Other characters introduced were fun and you can definitely see them being familiar drop-ins in further books. The mystery element was pretty good, I think it was obtuse enough to move the story along, but also relatively easily solvable for a reader that likes to guess ahead, which I guess is the best of both worlds. One last thing; how cute is the cover!